Another week, another round of getting snap happy with the camera. This week was my birthday week so it was quite exciting, and filled with delicious food. Shout out to those Belgian waffles I devoured on Monday. On a less than memorable note I managed to get that cold everyone seems to have at the moment, but I didn't think you'd want to see an artistic photo of my mountain of tissues. 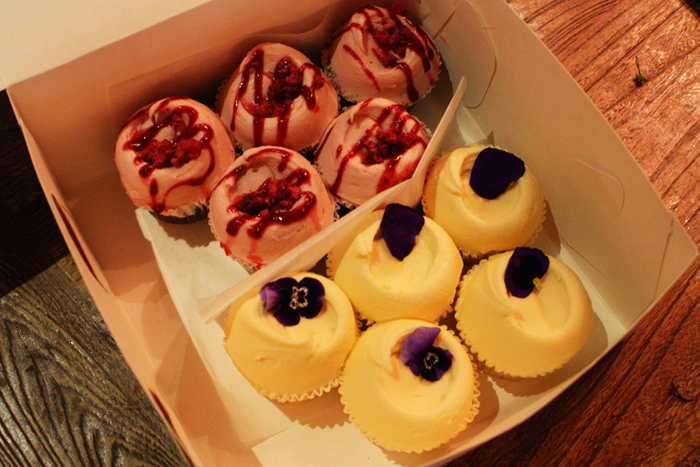 Anyway, here is what I got up to this week..
(Above)-Delicious birthday cupcakes from Bluebells Cakery. These are chocolate+raspberry and vanilla and they were so good. They definitely didn't hang around for long though unfortunately so I think a road trip to the best cupcake store in Auckland is going to be on the cards soon. 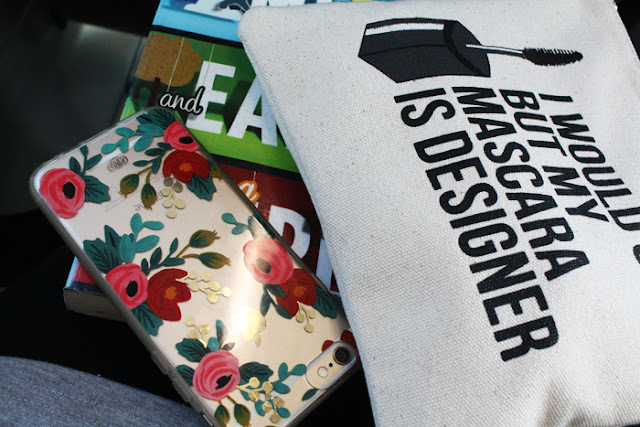 -More train vibes with my essentials: book, makeup bag/wallet and phone. -I finally used the Golden Wonder bath bomb I purchased last month and it was bliss. If I can still find one in the shops I'm going to get another because they're my favourite thing from Lush. 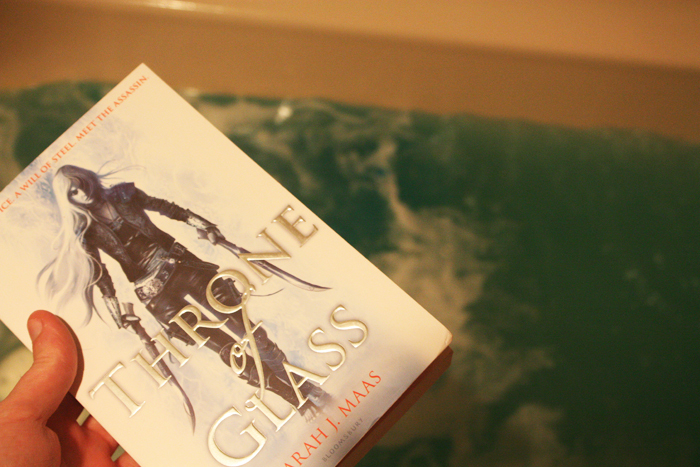 Throne of Glass is really good! I'm really liking it so far. It did take me a while to get into but I think it's one of those books you have to read continuously which is why I've kinda delayed reading it until I have time. #bookloverproblems. 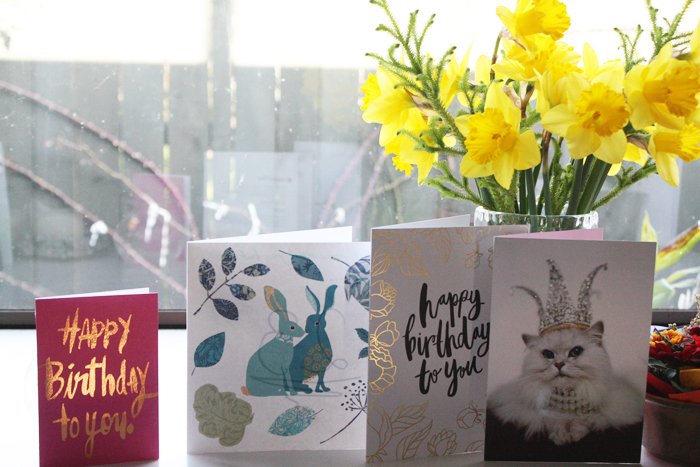 -Some of my pretty birthday cards hanging out on the windowsill with some daffodils. -I had a lil' pre-birthday lunch on the weekend at Miss Clawdy with some of my friends and it was a good time. So good in fact that I kinda forgot to take photos. This was my lunch though. 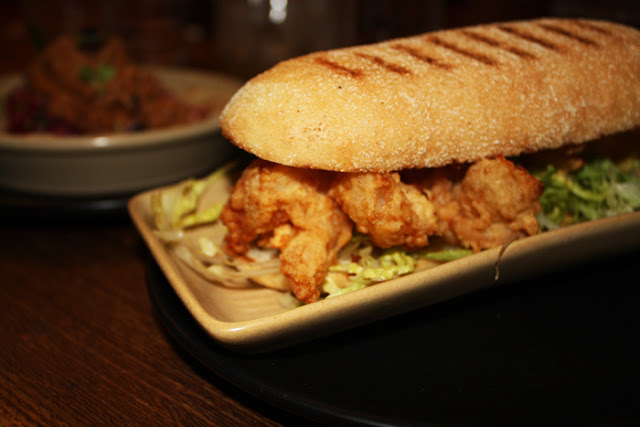 The Popcorn Shrimp Po Boy is amazing and I highly recommend it if you go there for lunch. -My birthday 'treat yo self' moment came when my Sephora birthday reward appeared in my inbox. 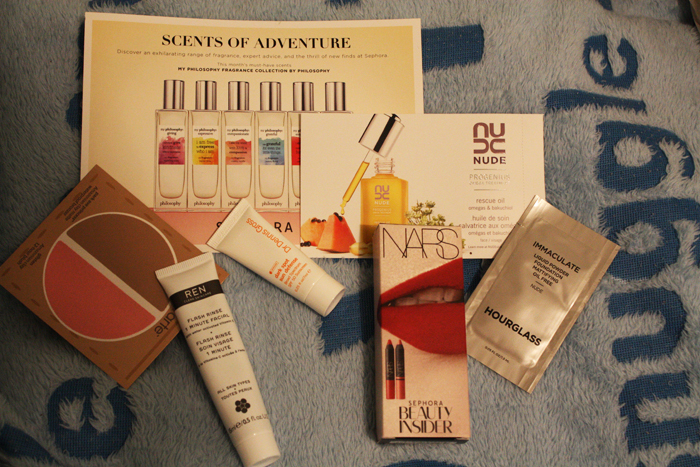 I'm doing a post on some recent Sephora treats soon but in the meantime, here are all the samples I acquired. I can't wait to try that Ren mask because it's hella expensive in NZ and I've been wanting to see what all the fuss is about for ages. *Have the best weekend everyone! This week was awesome because it was my birthday week although then I got sick and it just made me like a walking, human version of Grumpy Cat. I'm sure there were other reasons behind that, in fact there were but I'm not gonna dwell on that now. Today I am off to a Mac Trends presentation which I'm looking forward to and then I have work in the afternoon, which I'm not looking forward to as much haha. This weekend I'll be catching up on the latest episode of I Am Cait, gotta get caught back up, priorities etc. I'm also going into the city to catch up with a friend so that'll be loverly as well. I'll see you all on Monday with a pencil themed post *ooh mysterious* xo.